"Friends of Annie" was set up around 18months ago. 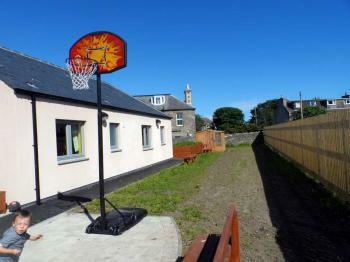 The aim of the charity is to raise awareness of the young people in Caithness who are or have been in care . These young people come into care through no fault of their own, quite often they are subject to some pretty significant and traumatic experiences that are not their fault and will quite understandably affect them in many ways. Every day these young people face the thought that in many peoples minds that they are "bad kids" however they are normal, wonderful children that have had difficult backgrounds. Friends of Annie organise many fundraising events throughout the year through, coffee mornings, hampers, and an annual spring dinner dance. We are the only charity in Caithness supporting care experienced young people in Caithness and all money stays in local area. The money raised can support these children in many ways, such as an activity, a day away. some much needed home items if they have now moved into there own home,etc the list is endless. We need to show these kids that as a community we support them and that they deserve all the love and support to try and lead them into a better future.